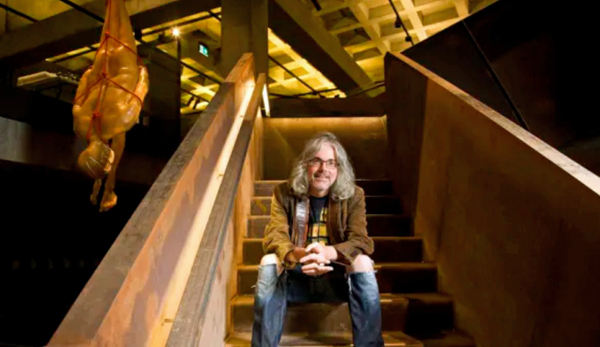 A night with Mona founder David Walsh could be all yours for $50,000. Photo: Peter Mathew. Fancy an intimate dinner with Mona founder and millionaire David Walsh as part of a two-day getaway at his private gallery in Tasmania for $50,000 a person? Or how about a private after-hours tour of the National Gallery of Victoria and then a degustation dinner under Giambattista Tiepolo’s masterpiece The Banquet of Cleopatra for $6500 each? If that’s a bit high-brow, does a bespoke tour of Adelaide Oval tracing in the footsteps of Australia’s greatest cricketer Don Bradman for $290 each take your fancy? All three of the premium experiences will be launched on Monday as part of a tourism industry campaign to lure more high-end travellers to Australia’s iconic cultural attractions. The industry-led collective Cultural Attractions of Australia – in conjunction with Tourism Australia – have formed to present 22 of the best of the nation’s cultural offerings to the world. The collective includes the Adelaide Oval, Arts Centre Melbourne, Australian War Memorial, Parliament House, Fremantle Prison, Melbourne Cricket Ground, Mona (Museum of Old and New Art) in Hobart, National Anzac Centre in Perth, National Gallery of Australia in Canberra, National Gallery of Victoria, Port Arthur historic site in Tasmania, Qantas Founders Museum in Longreach, Sovereign Hill in Ballarat, Sydney Opera House and the WA Maritime Museum. The cultural experiences – which have been curated by each institution – range in price from $140 for the National Anzac Centre tour to $50,000 a person for the decadent Mona experience with Mr Walsh. The two-day shindig with the reclusive Mr Walsh – the maths nerd who made his fortune through gambling syndicates before becoming Tasmania’s best-known philanthropist – includes private jet transfer from anywhere in Australia, luxury accommodation at the five-star Pavilions hotel, a private tour of Mona with the head curator and the “possibility of tennis” with the tennis tragic on the court next to Mona. Other experiences at Mona include a “rock star afternoon of art and pleasure” for $350 a person. The private gallery dinner at the NGV is set in front of the gallery’s masterpiece, “The Banquet of Cleopatra”, does not come cheap either. It’s $39,000 for a minimum of six people, then $6500 per person after that. A similar dinner at the National Gallery of Australia in Canberra – where guests sample a six-course degustation dinner based on arts works seen on their tour – comes with a $2500 price tag. Opera buffs can pay $5000 for the chance to wear a wig and costume and sing with the chorus of Opera Australia on-stage at the Sydney Opera House. For the less flamboyant there are tours of the Australian War Memorial, Parliament House or Fremantle Prison. Cultural Attractions of Australia chairwoman Jennifer Ganske said the 22 inventive experiences allowed a deep dive into the nation’s cultural icons. “This is the only organisation of its kind operating at a national level and is a unique model on the global stage,” she said. “We are inviting travellers to dive deep and expect the unexpected,” she said. Federal Tourism Minister Simon Birmingham said cultural tourism was on the rise, with three in 10 international visitors to Australia now visiting a museum or gallery. “Through our vast array of cultural attractions and initiatives such as this one that target the high-value traveller, we have huge potential to grow this very lucrative segment of the market,” Senator Birmingham said.